Suit therapy developed from the original Penguin suit used in Russia’s space program. The suit was designed to counteract the harmful effects of weightlessness on the body after returning from long periods in space. 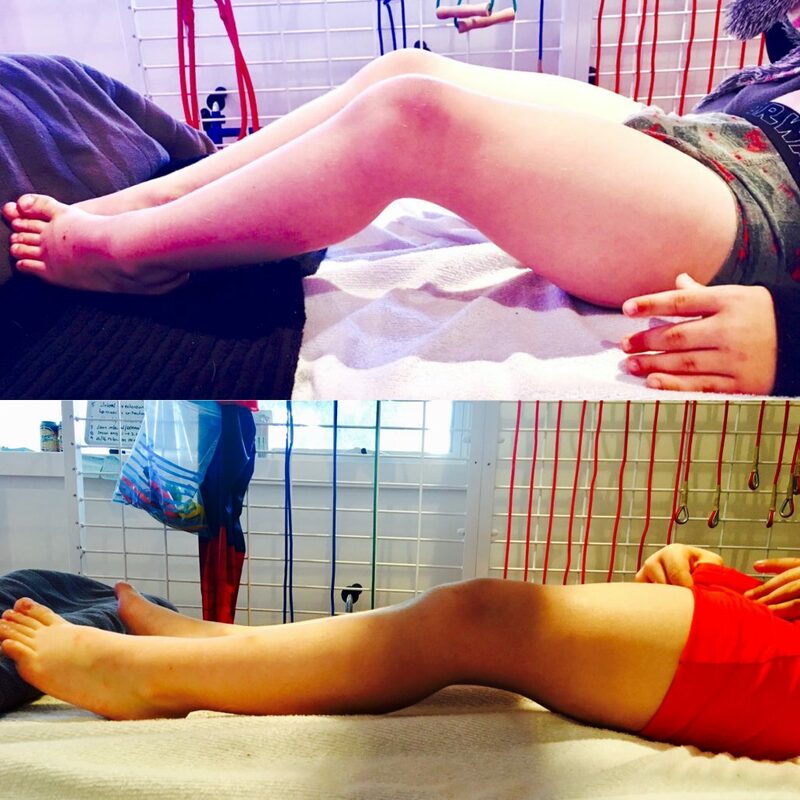 Richard and Izabela Koscielny, creators of the Therasuit Method are both physical therapists and parents of a daughter with Cerebral Palsy. 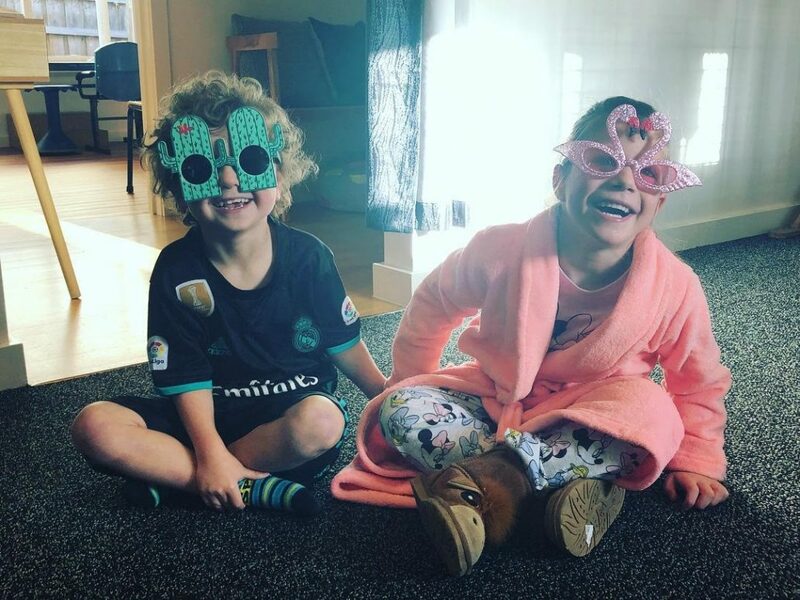 They developed this holistic treatment approach for those like their daughter who are afflicted with neurological disorders such as Cerebral Palsy, Developmental Delays, and Traumatic Brain Injuries. It combines the best elements of various techniques and methods, and has a sound rationale based on physiology of exercises. The key element is a strengthening program established for the participant based on their individual needs, strengths and weaknesses. Increased strength reflects in daily functional activities that usually follow or are combined with the strengthening exercises. The TheraSuit method intensive program is designed to increase functional outcomes of traditional therapy services. Our clients participate in an individualised strengthening program for 3 hours a day, 5 days a week, for 3 consecutive weeks. 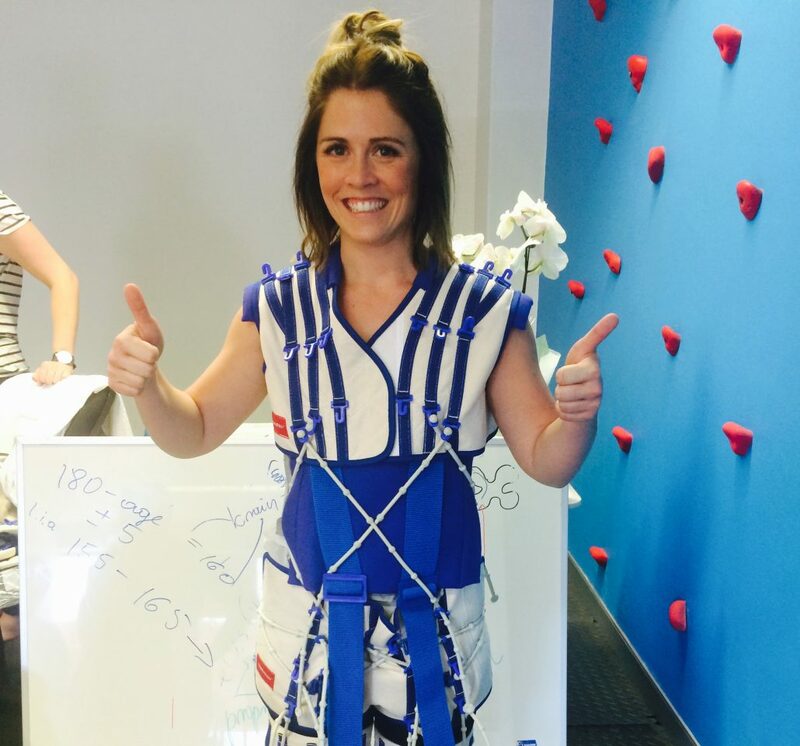 A variety of tools and techniques including the TheraSuit and the Universal Exercise Unit allow the participants to achieve accelerated functional outcomes. Therasuit Method can be beneficial for many populations (see list below) including treatment for cerebral palsy and other neurological conditions. Uses the TheraSuit and the Universal Exercise Unit, which includes the bungee and pulley weight systems. Is provided by our director Zoe Planck, Senior Occupational Therapist. Runs 3 hours per day, 5 days a week, for 3 weeks. What is the Universal Exercise Unit (UEU) and TheraSuit? The UEU is an open metal cage equipped with pulleys, weights, straps, and elastic cords. This dynamic system allows us to isolate and strengthen desired muscle groups and improve specific, functional movement patterns. 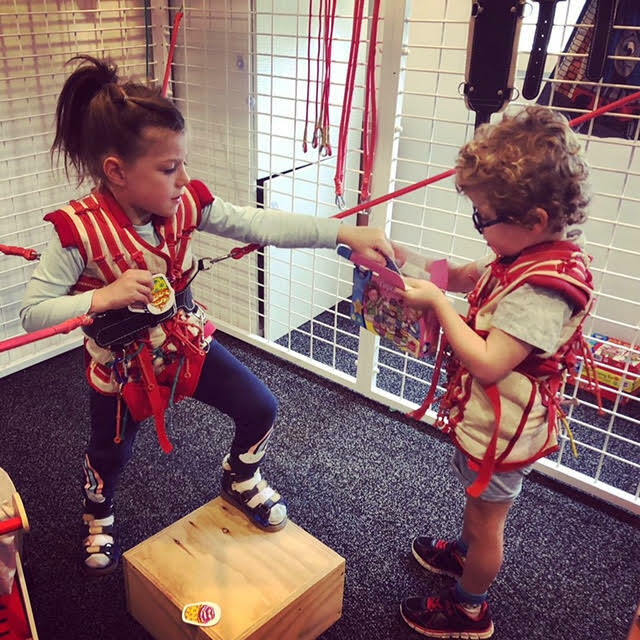 The UEU, which is commonly referred to as the “Spider Cage”, uses a belt and bungee cords to provide dynamic assistance to maintain an upright position. 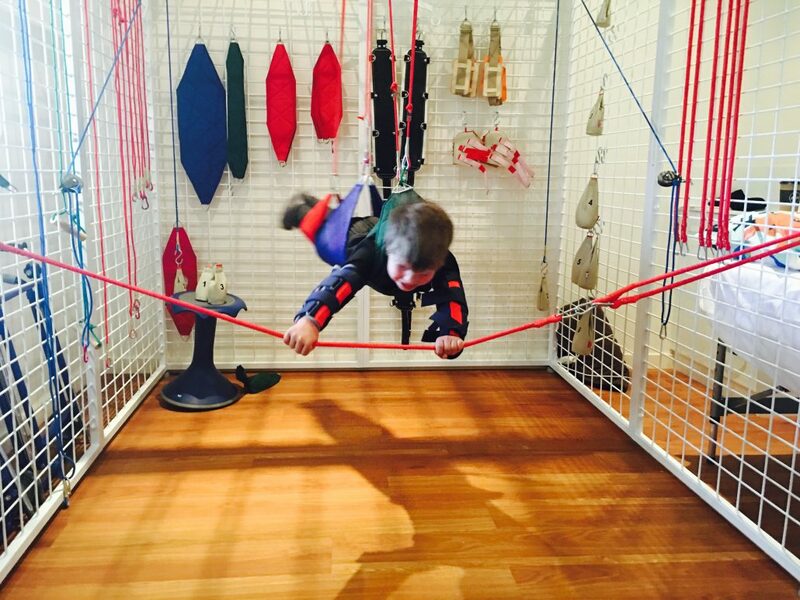 The spider cage can allow a child to stand without a therapist’s assistance while allowing freedom of movement and facilitating balance. It is useful for learning to transition between positions, to acquire the weight-shifts needed for functional movement, and to improve proprioception and arousal with jumping. The goals of the exercises performed in the spider are to improve functional skills such as sitting, crawling, and walking. 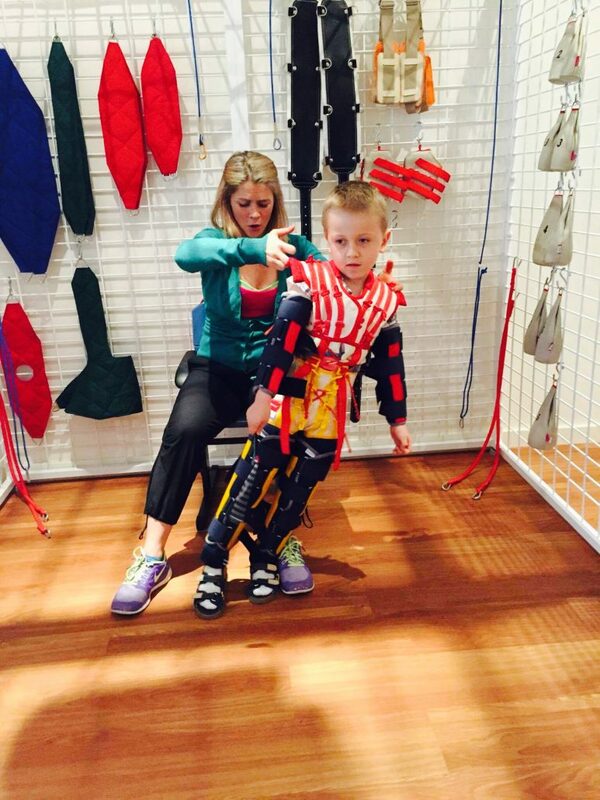 It also helps to improve balance, coordination, and sensory-motor integration. 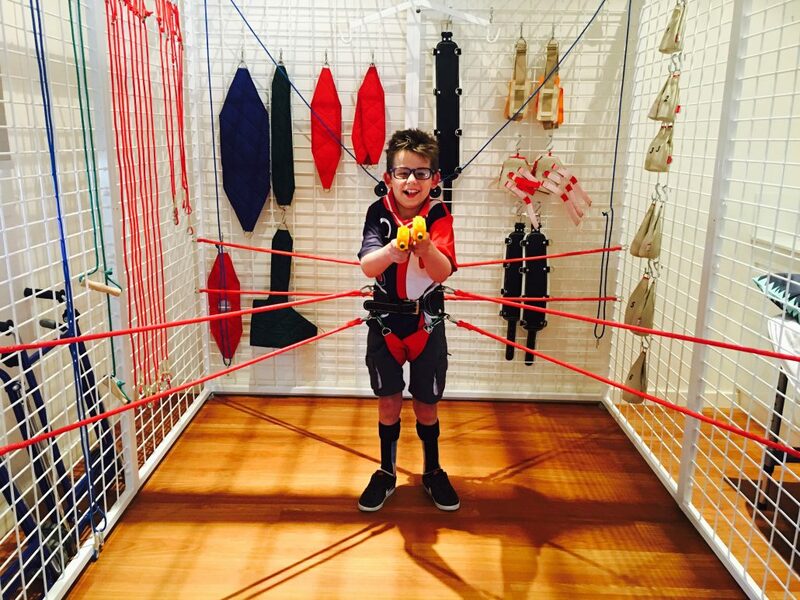 The ultimate goal of the spider cage is to promote independent movement but it can be a great way to regulate our sensory systems by activating our core for improved regulation. The TheraSuit is a soft, proprioceptive, dynamic orthotic consisting of a cap, vest, shorts, knee pads, and shoe attachments that are connected to each other through a system of elastic bands. 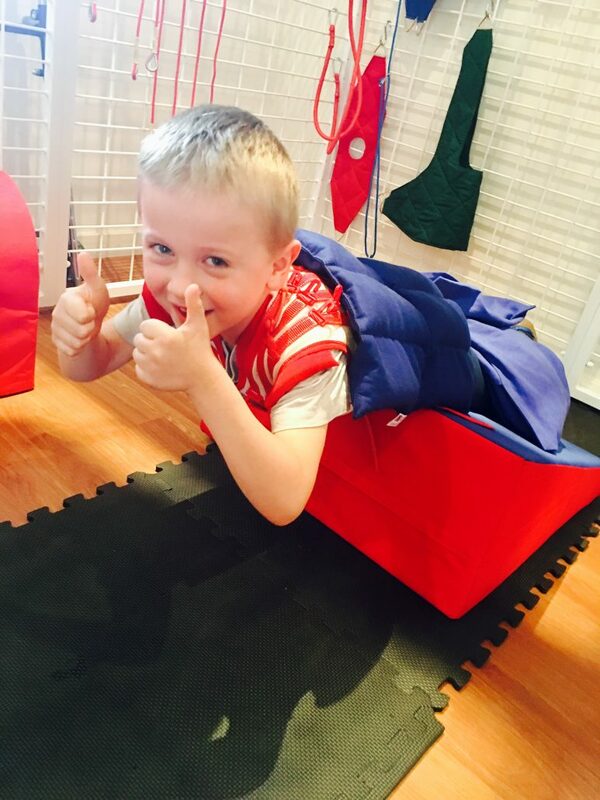 It is a safe, effective tool used in combination with our intensive exercise program and the UEU to accelerate the child’s progress.